So looks like EC 3 makes 3 new debuts for NXT this takeover. Like with Ricochet he looked a lot bigger than I expected. I guess he won't be using his previous WWE name this run eh? Should have went to the main roster. Dude already paid his dues in developmental back in 09, 10, 11, and now that he’s back, he shouldn’t have to do that again. Same thing for McIntyre. I agree. Since becoming EC3 and stopping the goofy Bateman gimmick he's proven he's good enough to have been called straight up to Smackdown for example. Signing someone from the main rival and putting them on developmental all the time is silly. Sometimes it's a good thing but when WCW was around they didn't sign NWO and send them to the Powerplant first. I suppose he will have a title run there first, but I would prefer him to have a non title fued to Mania and debut on the Raw or Smackdown just after. I don’t think there’s anything wrong with spending a bit of time in NXT before going to the main roster, I mean even a experienced journeyman like Bobby Roode did a stint in NXT, only AJ Styles was given the privilege of heading straight to the big time in WWE but I think a lot of that was timing as they wanted him to be a surprise entrant in the Royal Rumble and then have a Wrestlemania match, otherwise I think even AJ may have spent some time in NXT which I personally would have loved to have seen as he could have had some incredible matches down there. ECIII has spent the last few years working in TNA and doing indie shows, smaller crowds and a far less structured and corporate environment to WWE. Going to NXT first gives a talent time to learn the ropes and familiarise themselves with the WWE style. The problem he has is he'll need to prove he can hold his own in NXT this time around...not like he did the first time out. So the right thing for him to do is spend some time in NXT. He was pretty basic and limited in the ring when he first landed in TNA, fortunately he's used his time there to polish his ring work and develop his character so this time around he's much better prepared for WWE. But it's still more than fair to expect him to prove himself in NXT before he moves to the main roster. 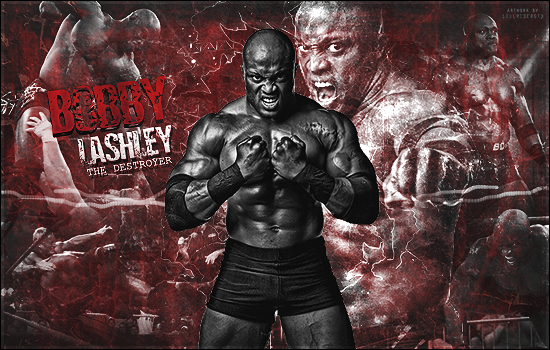 Fantastic that he was announced as ECIII so hooefully this means he will be using the same character he used in TNA. Will be interesting to see if WWE give any history on his Carter name or perhaps they will just abandon the Ethan Carter name and just run with ECIII much like they did with Triple H when they more or less dropped Hunter Hurst Helmsley. Loved his segment. So heelish to think a new title was made for him, whilst same time playing up to his babyface pop. I hope he doesn't win the new midcard title, because he should be fast tracked to the NXT title picture, where he actually belongs. So instead of Ethan Carter the Third, who is he now? 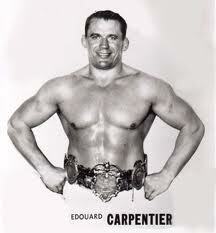 Edouard Carpentier the Third? He kinda looks like him, at least enough to say he's his grandson.